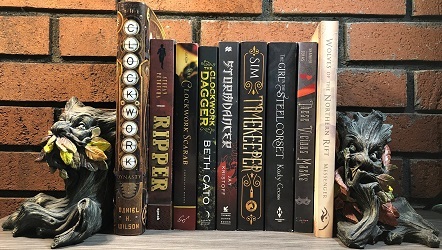 As you may have seen in a previous post I have a very large TBR, and one of my goals is to start cutting it down I know it will not be a fast process, but it will happen. Part of the process of shrinking my current TBR meant I needed to sit down and really looking at what I still have to read (what I physically own) and what is on my Goodreads don’t own shelf. For some unknown reason, I always felt that if I started a series, no matter if I liked it or not, that I needed to finish it. I really have no idea what made me feel this way or even when it began. I can only assume that it comes back to my issue with a fear of failing things. This issue is one that I am working on overcoming in multiple aspects of my life. So this is the start of dealing with this issue regarding my books/TBRs. So I sat down and looked at everything and was honest with myself whether or not I really want to continue with the series that I still have not finished. These are the first 5 series that I came across that I do not intend to finish.